Turku is a lovely city to visit in Northern Europe. It is located on the southwest coast of Finland right on the shores of the famous Archipelago. Like other cities that lie on a river, Turku has the Aura River flowing through its city center. This is Finland’s most important river and the largest in the southwest of the country. The Turku Archipelago stretches all the way toward the west to the edge of Airisto. The biggest of the surrounding island are Hirvensalo and Ruissalo. Farther to the south you’ll find Satava and Kakskerta. 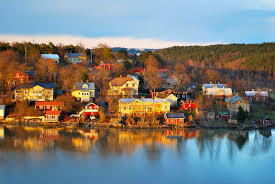 Altogether there are around 20,000 islands and skerries and the Turku Archipalago goes from the outskirts of the city as far as to the Aland Islands found between Finland and Sweden. 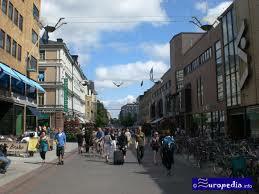 Visiting Turku you’ll discover many exciting things to do and see. Take a visit to Turku Castle dating back to the 1280s. This castle has had many different roles in history such as defensive bastion, a luxurious palace and even the seat of government. It has also housed a prison, a warehouse and a barracks. Today Turku Castle has become popular with tourists and a great historical monument. It’s many halls and chambers have been witness to many historic events. The most eventful period for the castle was in the 16th century when the House of Vasa was in power. You must see the new comprehensive exhibition that leads you through the history of Turku Castle from the very beginning to today. You can enjoy seeing periodic furnishings and costumes. Children can have fun in the Knights’ Hall dressing up in the costumes of Medieval court life. There are also other interactive things that children can participate in. No visit to Turku would be complete if you didn’t visit the preserved and historical Old Great Square. Here you can find art galleries and the Artoteque. Different cultural and art events are held here as well as concerts and theater performances are given. The organized events here include the Medieval Fair and the Christmas Fair. Near the Old Great Square is the Old Town Hall and the Brinkkala. Both of these historical premises can be rented for special festivities or different cultural and art events. You can also explore the little boutique of artisans or relax in the courtyards of cafes and restaurants. Another interesting place to visit is Luostarinmaki. This is a whole museum village that dates from the 1700s and 1800s. Here you can see craftsmen of the pre-industrial era and you can have fun traveling back in time to see the life of common people then. During the summertime you can see craftsmen working in the museum and August brings the Handicraft Days where you get to see crafts from a long gone time. You can purchase handicrafts at the Mueum Shop Hantvarki and have refreshment at Café Kisalli near the museum located in a house dating from 1851. Once you are done exploring you might want to go to a place for some recreation. That would be Finland’s largest and oldest park – Kupittaa Park. It is popular both in the winter and the summer. In the winter people delight in ice skating and in the summer there is a wide choice of activities such as skateboarding, cycling, playing ball and petanque. For visitors with children there is the Traffic-City Adventure Park and the Kupittaa Outdoor Pool. If you are a bird watcher don’t pass up the action at the Bird Pond. You can also just relax and bring along a picnic. On the wide open lawns you can see people playing football or croquet, throwing Frisbees or even flying kites. At the open end of the park you’ll find the Veritas Stadium, home to the local football team, TPS. If you don’t bring your own picnic but you get hungry there’s Kupittaa Pavilion where you can get tasty snacks or head on over to the full service restaurant Ole. You might choose to go to Vespa located in the Airisto. This is Turku’s recreational area. Heading for the island makes for a wonderful day trip and waterbuses will take you there daily. Don’t forget to take a bathing suit as there is a safe, swimming beach. If you like you and your family can enjoy mini-golf. You can have a sauna or if you’re looking for some adventure you can hire a boat or a canoe. There is a café-restaurant. Be warned that sometimes one day is not enough here so you might want to look at the lodgings available here and stay a while longer. Now a visit with family to Turku must include a look into Moominworld. 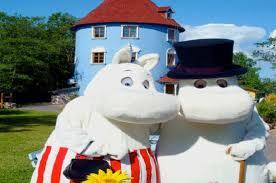 This is a theme park that is based on the storied of Finnish writer and artist, Tove Jansson. It opened in 1993 and is located on the verdant island found opposite the old town Naantali. It is a real fantasy world for children. The summer of 2014 took everyone back to where the Moomin fairytale began Long Live the Fairytale. In honor of Tove Jansson the Fairytale Forest was created and here children and adults alike can listen to the Moomin stories on audio book. There is much to do and see and children just love to interact with the wonderful Moomin characters. They get to meet the Moomin Family and all of their colorful friends. Of course this is only some of what you can expect so take the time to get to know Turku and plan your trip carefully as you don’t want to miss out on anything.